On the 101st episode of The Pop Poppa Nap Cast, I’m joined by my longtime friend and internet superstar Geof Grubb. You can check out his Reddit (I don’t really know what that means) here and also the Instagram account he set up for the patches he draws on for his daughter Layla every day here. In the episode we talk about everything from being stay-at-home dads to the joys of spending some mindless decompression time with video games. 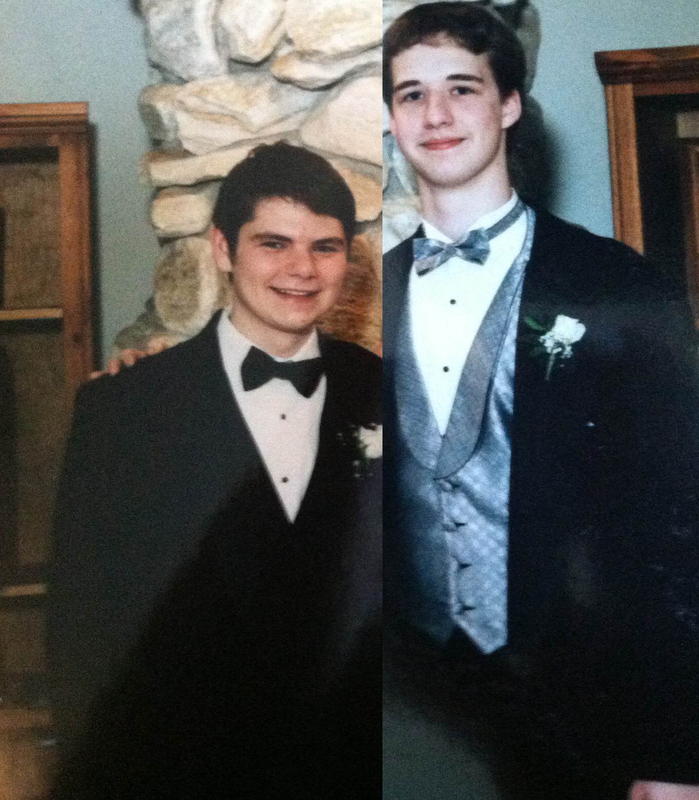 There aren’t much in the way of show notes this time around, so I’ll embarrass both of us by posting this picture of Geof and I from high school. This is us before prom our senior year. I cut out the ladies because I haven’t seen them in over a decade. For more of me check out UnitedMonkee.com, Comic Book Resources, Geek.com and @PoppaDietsch on Twitter.